You open an app, it immediately force closes. You open it again, it does the same thing. There’s clearly a problem here—but simply clearing your app data and cache might prove to be a pretty easy fix. 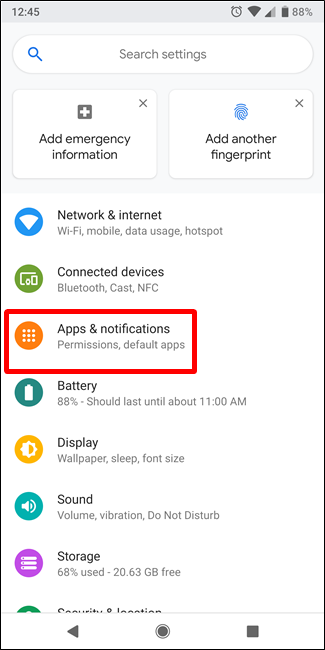 Just like any other operating system, Android stores certain app data that saves your preferences, logins, and the like. That’s why you can just fire up Facebook or Instagram and not have to log in every time. But sometimes, this data can become corrupt and cause problems. 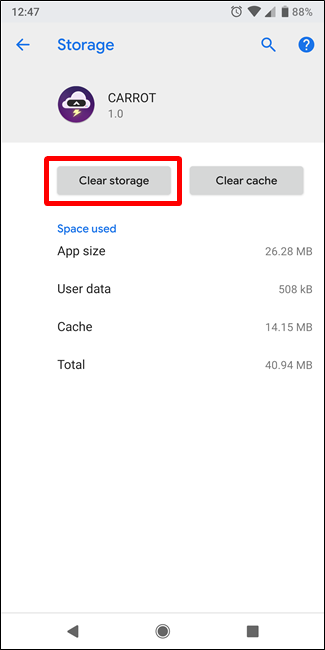 There are two basic types of files that can be cleared from within apps: cache and data. Cache files are just temporarily stored files that the app has downloaded. For example, when you stream music, the app may pre-download the songs as it plays to avoid any disruption. These files are then saved as cache files. After clearing the cache, the app will simply need to re-download any files that it had saved for temporary use. Otherwise, there’s no big downside. Data, on the other hand, is crucial information stored by the application. This contains login information, app preferences, and the like. 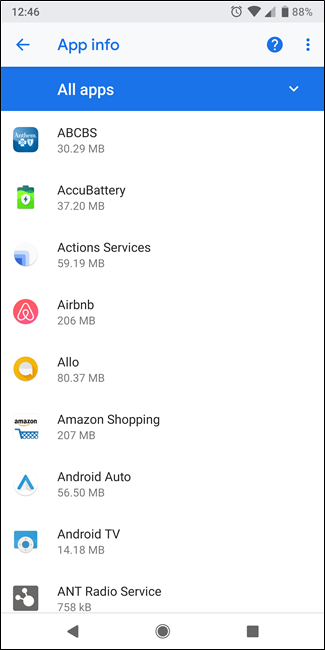 When you clear app data, it’s similar to uninstalling and re-installing the application. It clears out everything the apps has stored, basically forcing it to a fresh state. This is sort of the “worst case” solution—if clearing the cache doesn’t help, then clearing the data should. 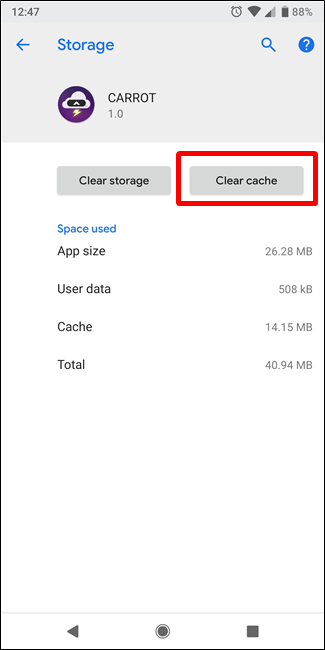 If you’re having an issue with an app, you should start by clearing its cache. This may not be cause of your problem, but it’s an easy and harmless first step to try. To do this, first open the Settings menu, and then navigation to the “Apps & Notifications” section. 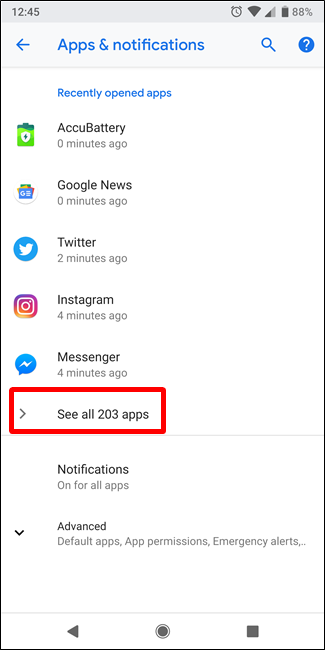 If you’re phone is running Android Oreo or newer, you’ll need to tap the “See All Apps” button to view the full list. Otherwise, just find the app that’s giving you issues on the list. Once you’ve found the app, the first thing you’ll need to do is kill all running instances of it. 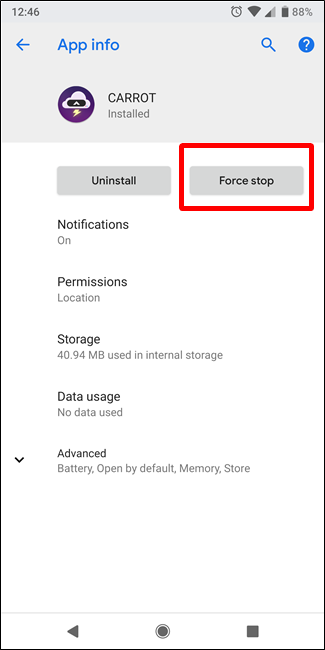 Tap the “Force Stop” button, and then confirm that action in the popup. When the app is closed, tap the “Storage” entry. 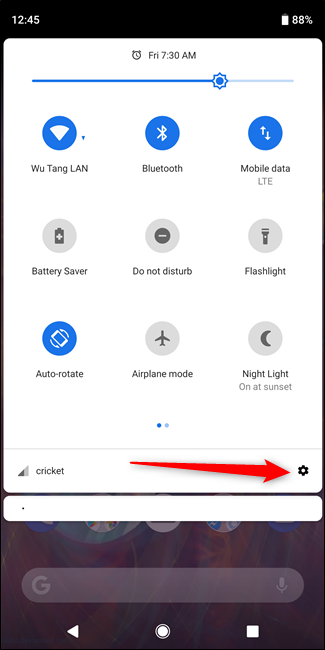 On the Storage menu, tap the “Clear Cache” button. Try running the app again. 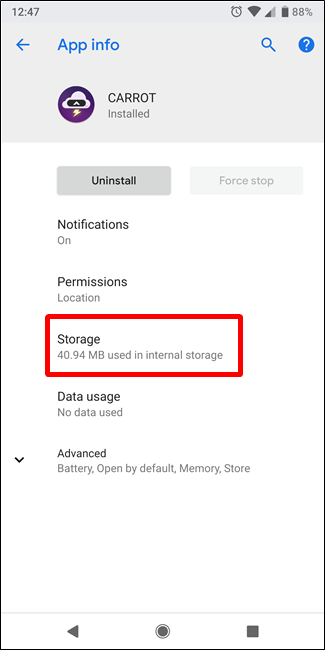 If the problem persists, you can repeat the above steps, but tap the “Clear Storage” (or “Clear Data”) button instead. Just be aware that you’ll lose your data associated with that app. 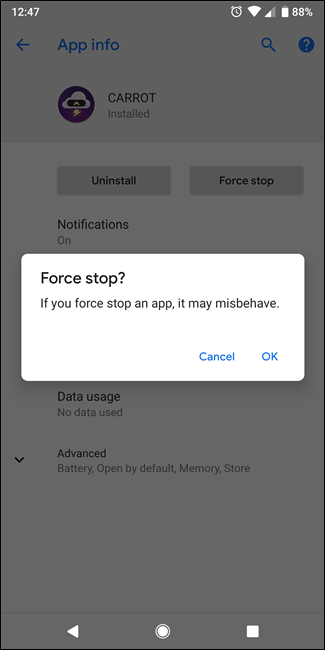 The next time you launch the app, you’ll need to set it up as if it were just installed, but this will hopefully fix any problems you were having with it. If neither of these steps fix the problem, then the problem may not be on your end. It might be a faulty update pushed by the app developer, and at that point, the best thing you can do is submit a bug report to the developer and hope it gets fixed.